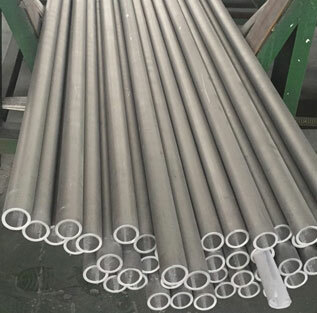 Inconel pipe is a nickel-chromium alloy with good carburization and oxidation resistance through 2000°F. Inconel seamless pipe has excellent resistance to hot seawater, scrubber environments and reducing acids. 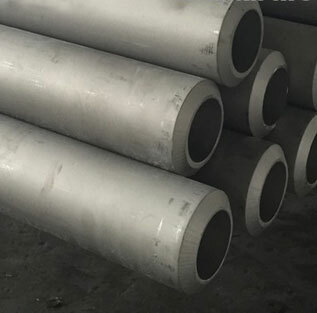 SCH40 Inconel pipe is readily fabricated, weldable even in the hardened condition. Inconel welded pipe is used for gas turbine components to 1200°F, as well as for cryogenic equipment. Because of good strength and ease of fabrication Inconel Pipes are the prime choice of aircraft, marine and industrial gas turbine combustors. Hitesh Steel is a govt recognised & ISO certified manufacturer, exporter and supplier of Inconel Pipe, Inconel clad pipe, Inconel Hydraulic Pipe, Inconel Square Pipe, Inconel Round Pipe, Inconel Rectangle Pipe suitable for High temperature, Furnace, Valve Industries, Defense & Aerospace etc. As part of our Special Metals services, we supply Inconel Pipes to throughout India & overseas. INCONEL alloy pipe is available in form of Cold Drawn Seamless Pipe, Extruded Seamless Pipe. We supply first class Seamless and Precision drawn quality inconel alloy pipe to the Aerospace, Electronics, Engineering, Instrumentation and Medical Industries in random and fixed cut lengths. Globally Recognized trusted vendor & Inconel Pipe supplier in India. 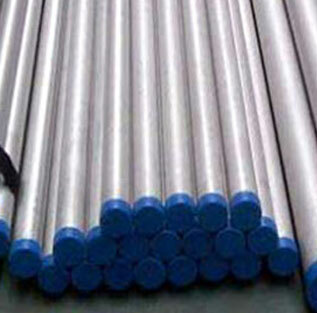 Inconel alloy pipe is a nickel-chromium alloys which is used in different welding processes. Inconel pipe is most commonly used in techniques where high heat tolerance is required. Welding Inconel can be rather difficult because the welds that are created have a tendency to crack. There are a few alloys of Inconel that were specifically designed for use in welding like TIG. Our super special steel products including Inconel Pipe are suitable for Plant manufacturing, Machine engineering, Power generation and Powerplant etc. We are supplying best quality Inconel Pipe to our clients globally.